We are improving the quality of life and health for people living with mental, physical, social and cognitive disorders. 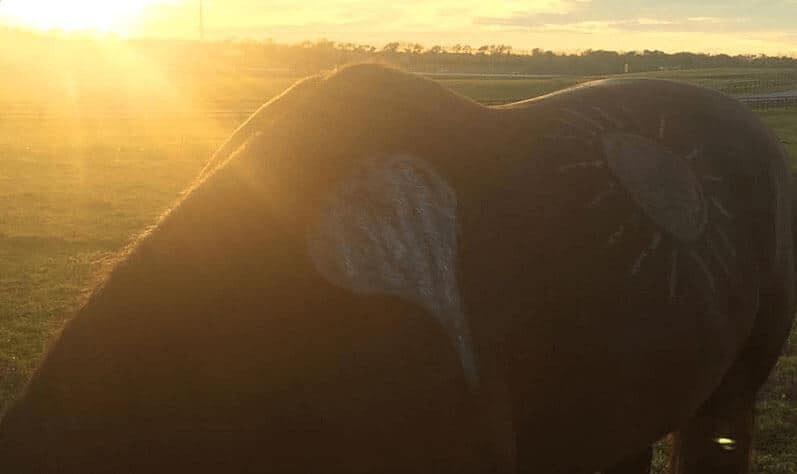 Our highly trained horses, volunteers and staff enable us to maintain Premier Accreditation through the Professional Association of Therapeutic Horsemanship, International (PATH, Intl.). Diverse programs are designed to serve and meet the needs of people in our community. Many programs at CKRH are provided through partnerships with other community organizations. If you are an individual or group not affiliated with one of our partnership organizations, please contact us. 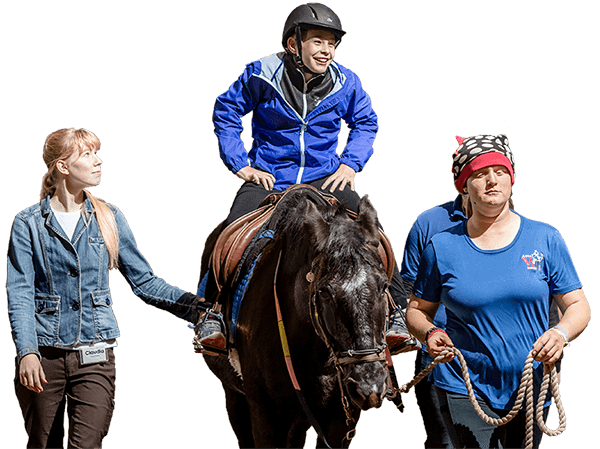 Therapeutic Riding and Horsemanship for individuals with special medical needs, physical and cognitive disabilities are adaptive riding and horsemanship activities conducted by a PATH Intl. certified instructor for individuals with special needs. 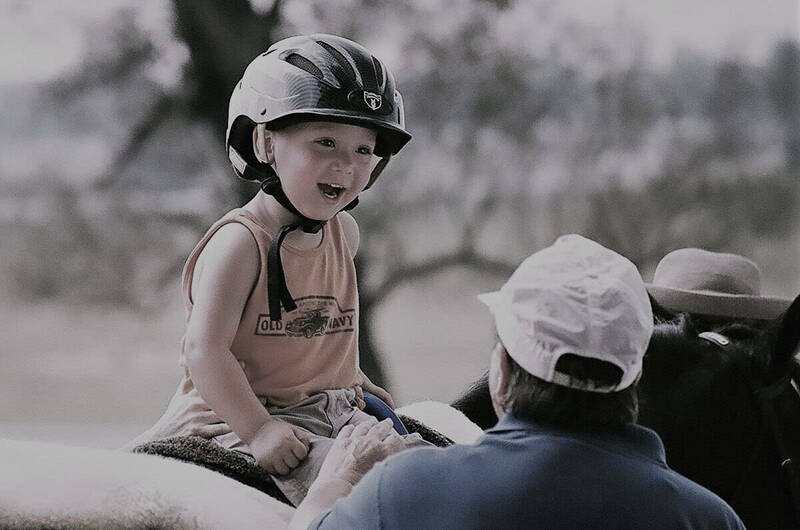 Activities are designed to meet each participant’s individual needs and the intent is for participants to progress in equestrian skills while improving their cognitive, emotional, social and/or behavioral skills. Secondary benefits include improved fine and gross motor skills, balance, strength, coordination, proprioception, tactile senses, team work, problem solving, self-image/confidence, communication, memory retention and much more. Delivery of Service: Private and group lessons are available Monday-Thursday from 1 pm – 7:30 pm and Saturday 10 am – 4 pm. Eligibility: Individuals four years of age and up with a medical diagnosis, are under weight limits and meet precautions and contraindications guidelines set by PATH, Intl. and CKRH. Common diagnoses include: Autism, developmental delay/disability, ADD/ADHD, Dyspraxia, Cerebral Palsy, Down syndrome, head trauma/brain injury, hearing and vision impairment, genetic onditions/disorders, Multiple Sclerosis, intellectual disability, stroke, Muscular Dystrophy, Spina Bifida and orthopedic disorder. Cost: $30 per lesson. Lesson fees must be paid in advance. Length of lesson: Minimum of 30 min. and maximum of 1 hr. determined by participant need. How to enroll: Please contact CKRH at 859-231-7066. 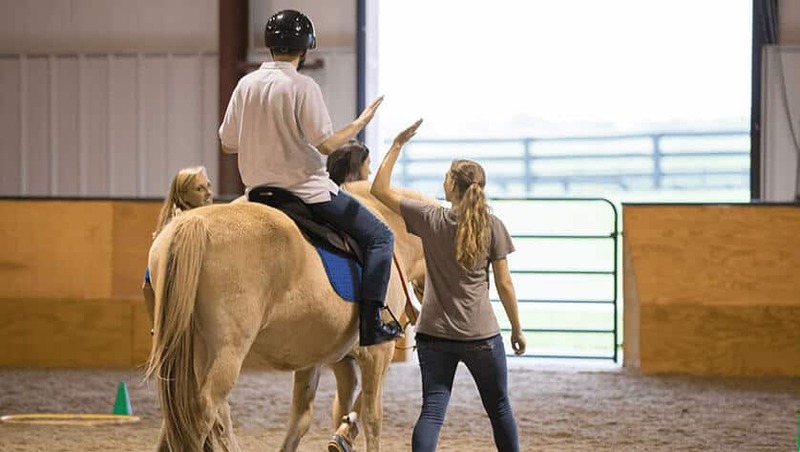 Therapeutic Riding and Horsemanship for individuals with mental health diagnosis are traditional and adaptive riding and horsemanship activities conducted by a PATH Intl. certified instructor. Participants have a wide range mental health conditions, and activities are designed to meet individual needs. The intent is for participants to progress in equestrian skills while improving their emotional, social and behavioral skills. Secondary benefits include improved problem-solving skills, emotional awareness and regulation, tolerance for stress, connection with others, optimism, empathy and self-actualization. Length of lesson: 1 hr. Eligibility: Individuals four years of age and up with a diagnosed mental illness, are under weight limits and meet precautions and contraindications guidelines set by PATH, Intl. and CKRH. Common diagnoses include: depression, anxiety disorders, post-traumatic stress, eating disorders and addictive behaviors. 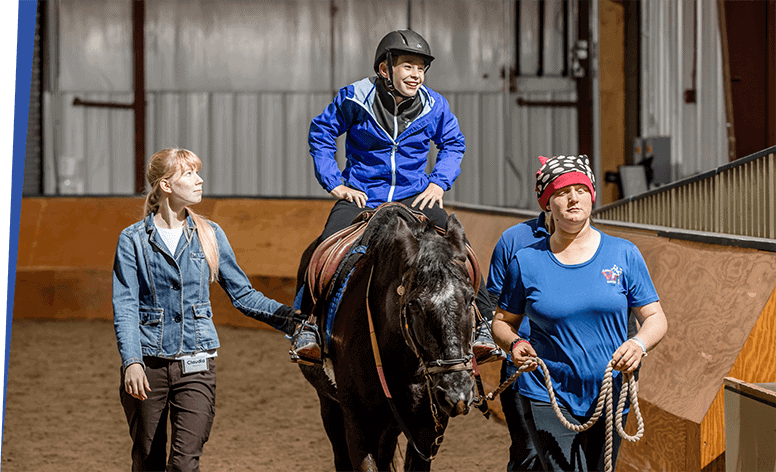 Therapeutic Riding and Horsemanship for individuals with learning disabilities are traditional and adaptive riding and horsemanship activities conducted by a PATH Intl. certified instructor for individuals with a wide range learning disabilities. 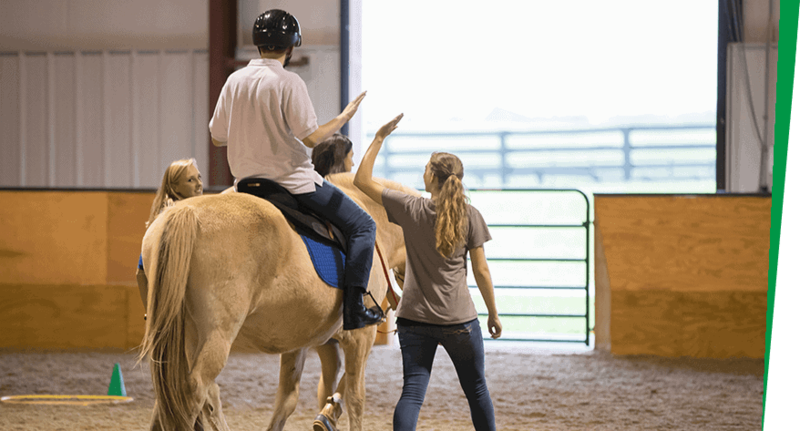 Activities are designed to meet each participant’s individual needs and the intent is for participants to progress in equestrian skills while improving academic skills, including ability to listen, think, speak, read, write, spell or do mathematical calculations. Secondary benefits include improved self-esteem and confidence, self-regulation, self-actualization, problem-solving skills, sequencing skills, organizing skills and memory retention. Eligibility: Individuals six years of age and up with a diagnosed learning disability, are under weight limits and meet precautions and contraindications guidelines set by PATH, Intl. and CKRH. Common diagnoses include: auditory processing disorder, language processing disorder, dyslexia, executive functioning disorder and memory deficits. Vocational Skills Training teaches individuals with mild disabilities skills needed for employment. 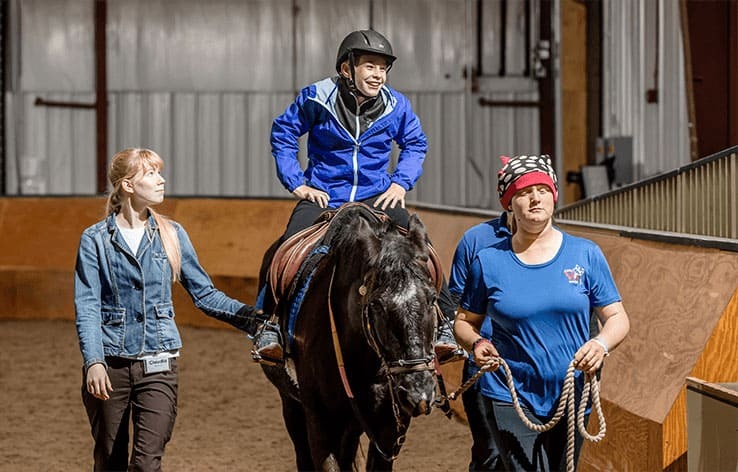 Activities are led by CKRH staff and volunteers with the intent for participants to gain employment skills in the areas of horsemanship, facilities/farm maintenance, administration/clerical, janitorial as well as interpersonal skills. Secondary benefits include improved self-esteem and confidence, self-regulation, self-actualization, problem-solving skills, sequencing skills, organizing skills and memory retention. Delivery of Service: Private and group lessons are available Monday-Thursday from 9 am – 6 pm. Eligibility: Individuals 17 years of age and up diagnosed with a mild disability and meet precautions and contraindications guidelines set by PATH, Intl. and CKRH. Common diagnoses include: Autism, brain injury, stroke, intellectual disability, learning disability and executive functioning disorder. Length of lesson: Minimum of 1 hr. maximum of 2 hrs. 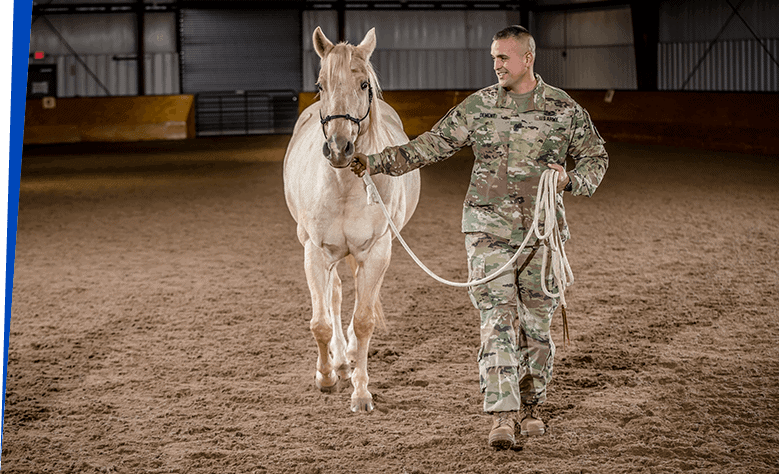 Therapeutic Riding and Horsemanship for Veterans and Military Service Members is designed to meet the unique needs of military veterans through horsemanship and riding skills taught by PATH, Intl. certified instructors. During the first eight-week stage, participants learn unmounted and mounted equestrian skills. During the second eight-week stage, participants continue to develop horsemanship skills while mentoring new stage one participants. Graduates of the first two stages may continue as a volunteer at CKRH or volunteer at other community organizations. Through this mentorship model, participants solidify horsemanship skills, interact with other veterans and give back to the program. Delivery of Service: This program is offered Wednesday evenings from 6-8 pm. Cost: $60 per lesson. Lesson fees must be paid in advance. Length of lesson: 2 hrs. Eligibility: Military veterans with referral from mental health professional, are under weight limits and meet precautions and contraindications guidelines set by PATH, Intl. and CKRH. 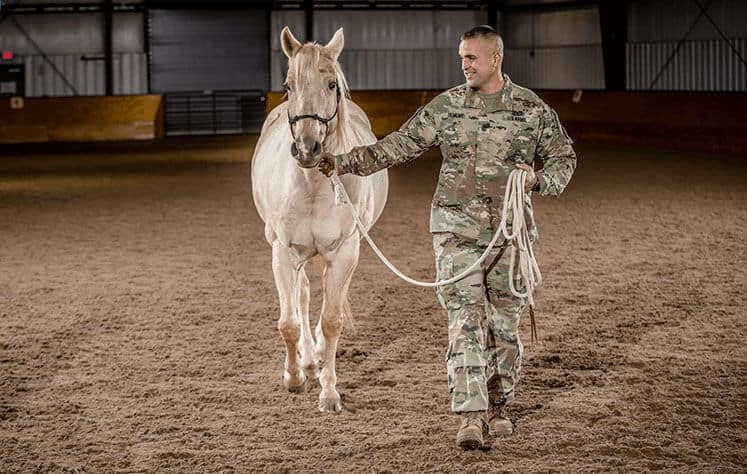 Therapeutic Riding and Horsemanship for Veterans and Military Service Members is designed to meet the unique needs of military veterans through horsemanship and riding skills taught by PATH, Intl. certified instructors. During the first eight-week stage, participants learn unmounted and mounted equestrian skills. During the second eight-week stage, participants continue to develop horsemanship skills while mentoring new stage 1 participants. Graduates of the first two stages may continue as a volunteer at CKRH or volunteer at other community organizations. Through this mentorship model, participants solidify horsemanship skills, interact with other veterans and give back to the program. 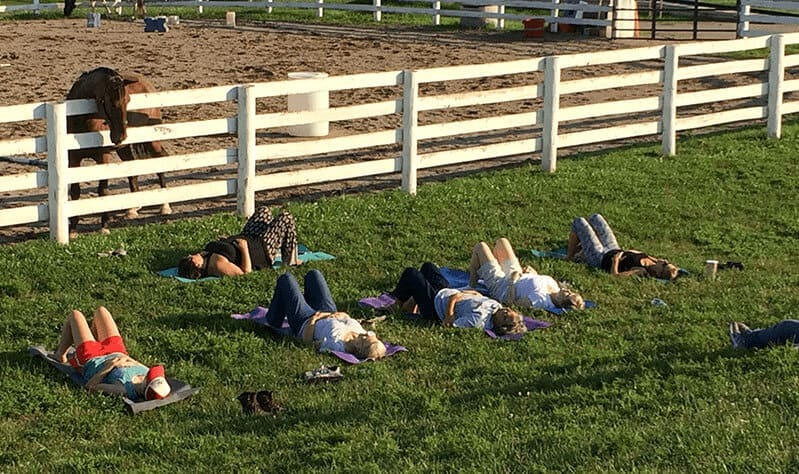 The STABLES is an Alternate Education Program as defined by Kentucky state regulations 704 KAR 19:002. This ‘Opportunity School’ is a community partnership providing a unique learning opportunity for students in grades 7-12 who thrive in a nontraditional school setting. Designed with academics in mind, The STABLES also provides opportunities to gain work competencies and vocational skills. 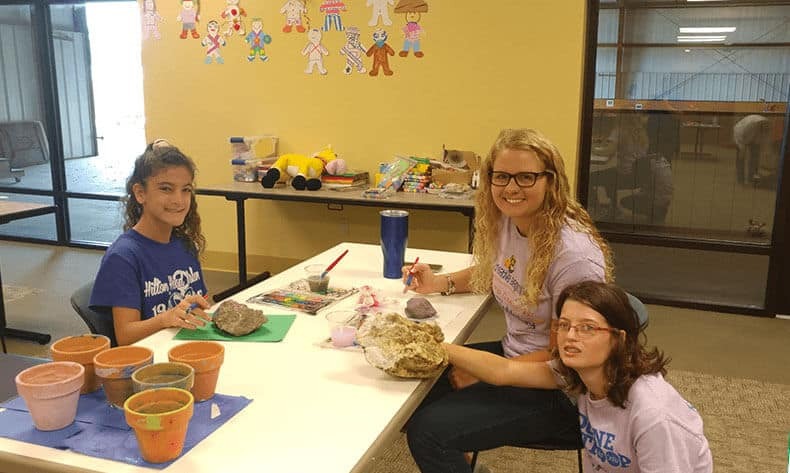 Through project-based learning and work experiences, students assume greater responsibility for their education and are inspired to be continual lifelong learners. In addition to classroom instruction, the teenagers are engaged in activities that focus on life skills such as problem solving, communication, team building and development of positive relationships. Students may participate in the Equine-Assisted Interpersonal Skills class and shadow professionals in multiple areas of the work force. While learning about and caring for the horses, our students develop an appreciation for hard work and responsibility while building their confidence and self-esteem. Our mission is to create a collaborative community that ensures all students achieve at high levels and graduate prepared to excel in a global society. 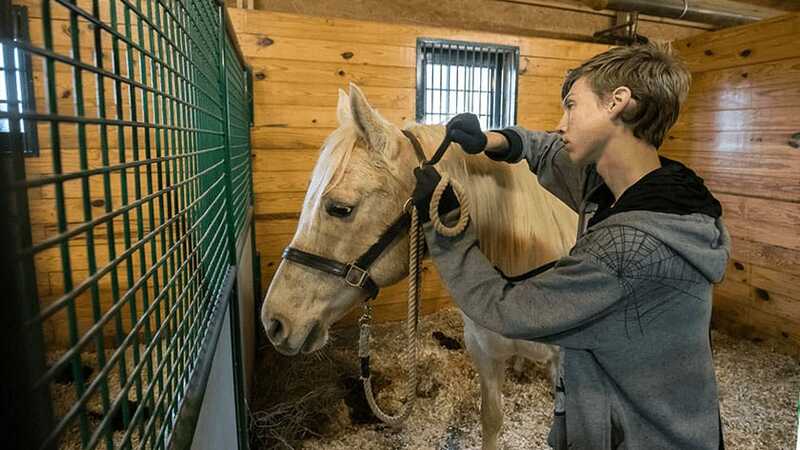 Delivery of Service: The Stables follows the Fayette County Public School calendar. Eligibility: Enrollment is limited due to the uniqueness of the program, and placement of students is voluntary. Students and parents are asked to sign contracts upon enrollment, identifying their investment in becoming successful and contributing members of The Stables community. Charlotte Hiler Easley LCSW, ESMHL is a licensed clinical social worker with a private practice working with women and women’s issues located on the grounds of CKRH. 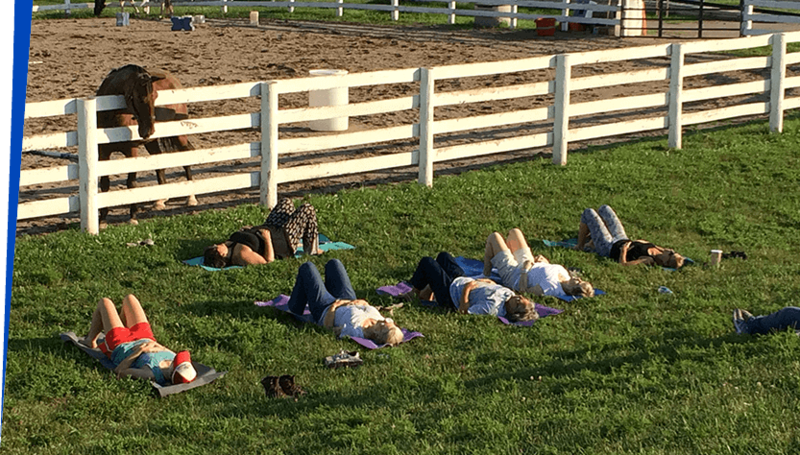 She provides individual and group traditional and equine assisted sessions, consulting on trauma informed equine assisted work and programming. Charlotte is certified with the Equine Assisted Growth and Learning Association (EAGALA) and as a PATH Intl. 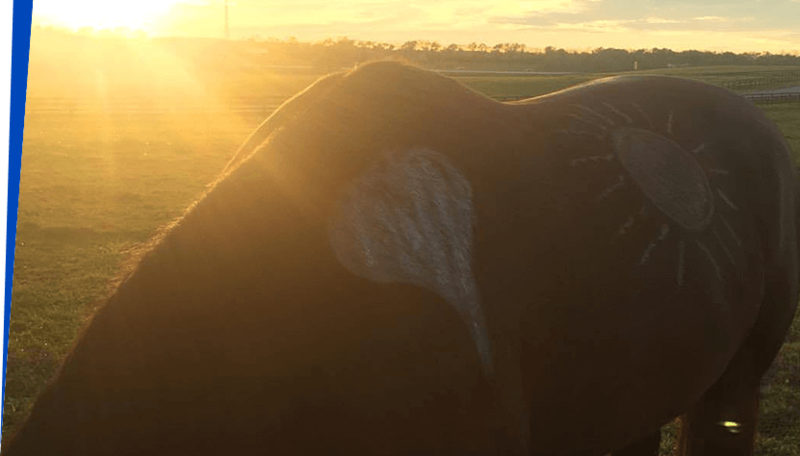 Equine Specialist in Mental Health and Learning. She is trained in Eye Movement Desensitization and Reprocessing (EMDR) and Brainspotting and is certified Equine Assisted EMDR. Charlotte and CKRH have partnered in providing non-mounted equine assisted learning and psychotherapy services for over 6 years. Delivery of Service: Individual traditional therapy and Equine Assisted Psychotherapy are available Monday through Wednesday 8 am-5 pm. Consulting services for professionals is available on Friday 9 am-4 pm. 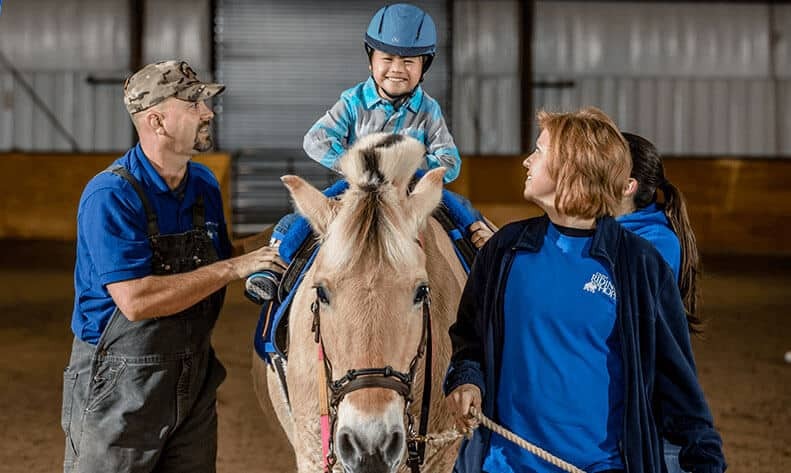 Eligibility: HorseAbility is open to school age children with disabilities. 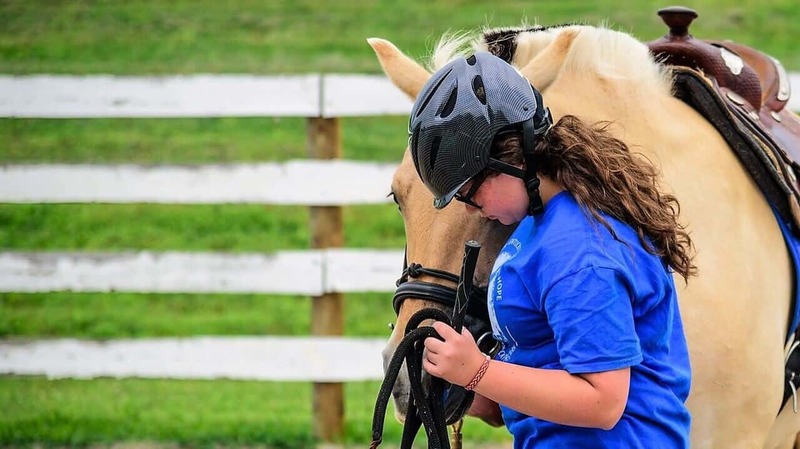 I RIDE is an Equine-Assisted Learning Program focused on building leadership and life skills in youth struggling with social, physical, intellectual, and mental aspects of development. 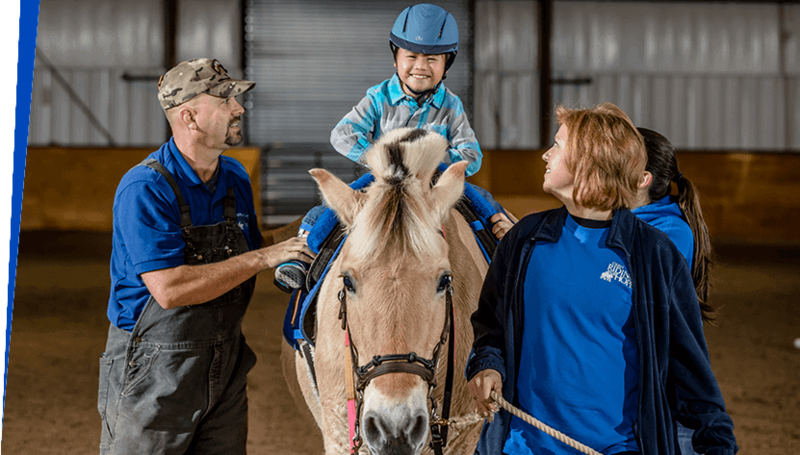 This specialized program is designed to teach and strengthen problem solving, communication, coping, and life skills through the practice of natural horsemanship. Delivery of Service: Monday-Thursday from 9 am – 4 pm during June and July. Cost: No charge to the family. This program is fully supported through grant funding. Length of lesson: Each participant attends multiple full days per week. Eligibility: School age children identified as being less likely to transition into adulthood successfully, low family income, under weight limits and meet precautions and contraindications guidelines set by PATH, Intl. and CKRH. 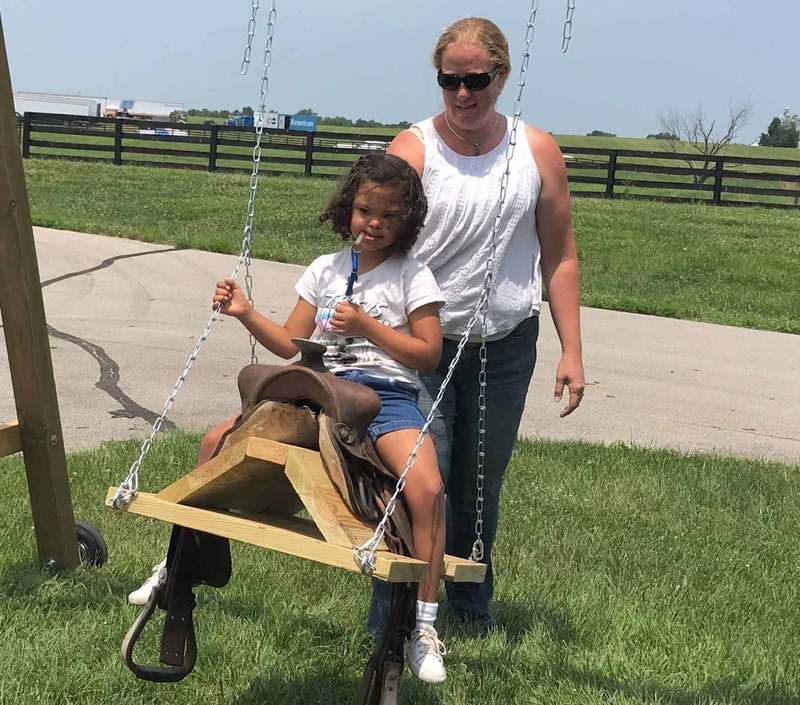 I Ride (Investing in myself, Reasoning and Resiliency, Initiating positive change, Determining my path, Evolving and succeeding) is an equine program to redirect at-risk youth and provide them the opportunity to have fun while learning to ride and care for horses. All staff are trained and specialize in teaching children affected by the many outcomes associated with families in poverty and addiction. Delivery of Service: Monday-Thursday from 9 am – 4 pm during June and July; 10 am – 3 pm on designated Saturdays throughout the year. 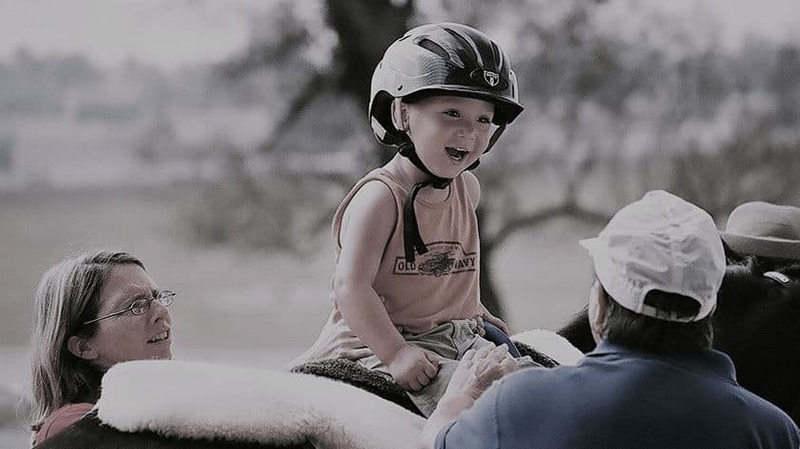 Hippotherapy refers to how occupational therapy, physical therapy and speech-language pathology professionals use evidence-based practice and clinical reasoning in the purposeful manipulation of equine movement to engage sensory, neuromotor and cognitive systems to achieve functional outcomes. 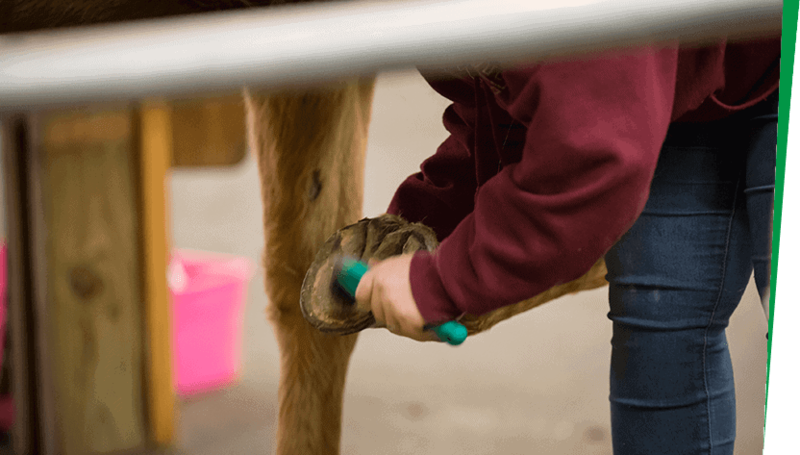 In conjunction with the affordances of the equine environment and other treatment strategies, hippotherapy is part of a patient’s integrated plan of care. Delivery of Service: Currently, we are not offering Hippotherapy, but we are in the works of creating a program. Stay tuned for details. How to enroll: To be determined. Eligibility: Individuals two years of age and up with a medical diagnosis, are under weight limits and meet precautions and contraindications guidelines set by PATH, Intl. and CKRH. 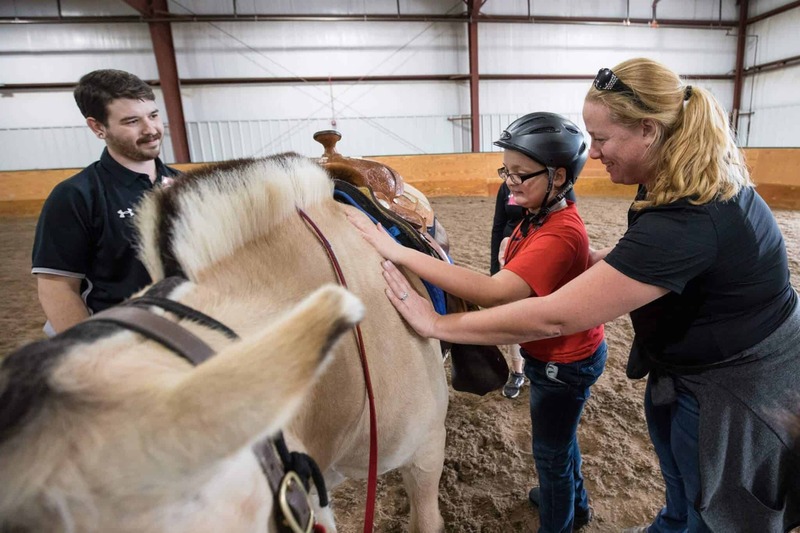 EASTT (Equine Assisted Survivors of Trauma Therapy) combines psychoeducation and equine assisted activities to address symptoms of PTSD, anxiety, depression and relationship issues common for survivors of sexual trauma. This a non-mounted group; participants do not need any prior horse experience. 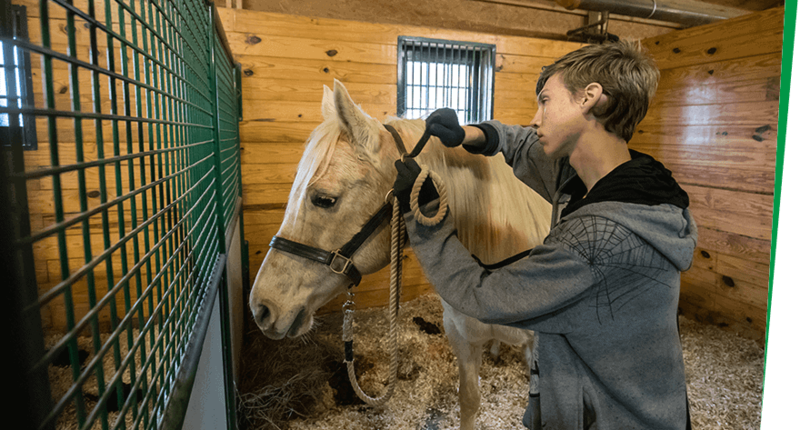 The environment and the horse partnership framework allow participants to practice and learn new life skills while promoting self-awareness and relationship building. The goal is to create a safe, nonjudgmental, non-critical environment with in-the-moment experience that improves participants’ coping and relationship skills and enhances overall quality of life.